The ancient Egyptians, rather uniquely among the world's civilizations, had an obsession with cats, both tame and fierce, large and small. 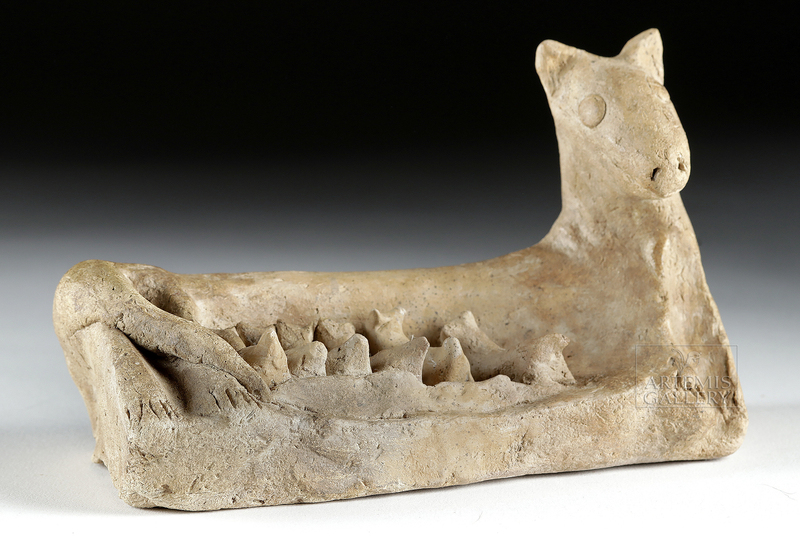 Cats were domesticated to help protect crops from pests in Cyprus or possibly Mesopotamia (it is difficult to interpret the archaeological record on this matter for a variety of reasons), but the Egyptian love of cats seems to have gone above and beyond that of their contemporaries. 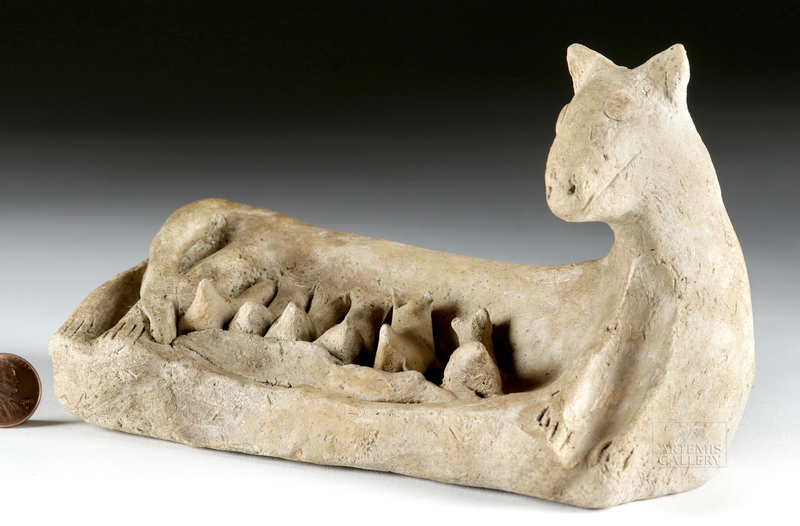 The cemetery at Hierakonpolis includes a cat skeleton in a pre-Dynastic tomb (ca. 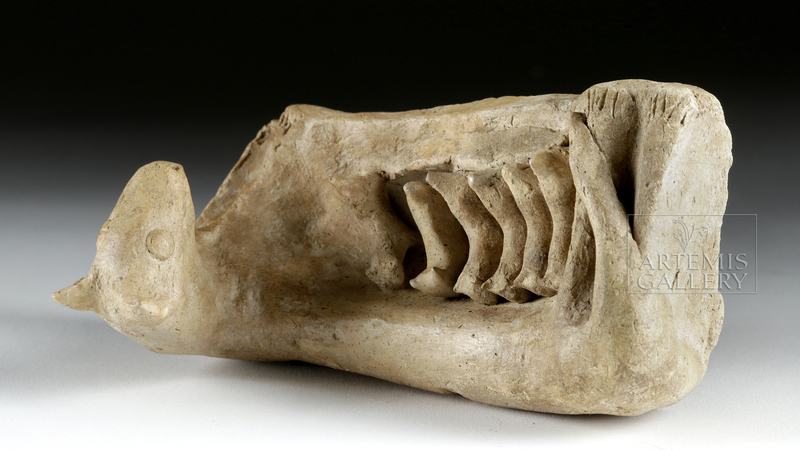 3700 BCE) that had a broken left humerus and right femur that seem to have been set by a human and allowed to heal before that cat's ultimate death. 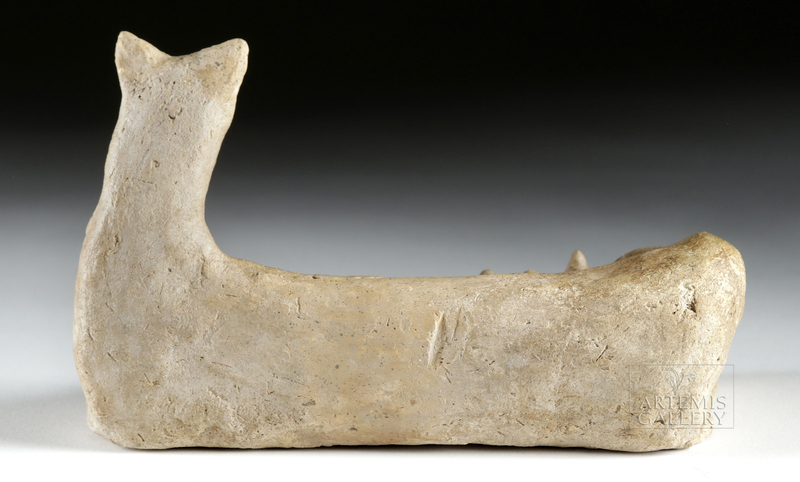 The first illustration of a cat with a collar comes from a 5th Dynasty (ca. 2500 to 2350 BCE) Egyptian tomb at Saqqara. 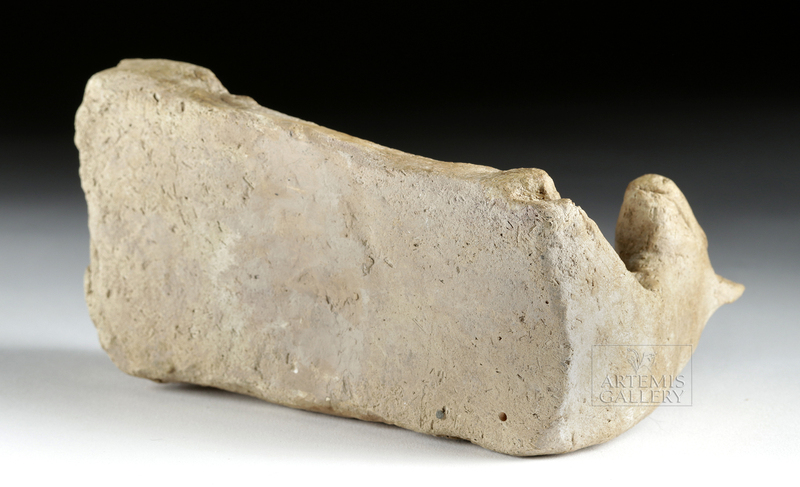 Cats were the most frequently mummified animal in Egypt and there were multiple feline goddesses, including the domesticated cat-form Bastet. Bronze statues like this one may have been direct offerings or appeals to Bastet; they appeal to the cat's fertility and tender motherly care, while her pose with ears up emphasizes her alertness and ability to protect her young. For similar examples in bronze see no. 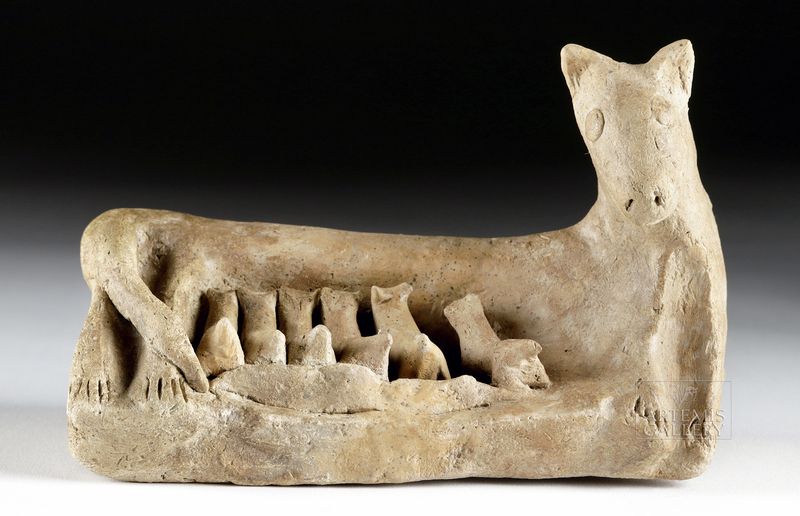 93 in Mottahedeh, ed., Out of Noah's Ark, Animals in Ancient Art from the Leo Mildenberg Collection; see also Divine Felines: Cats of Ancient Egypt, organized by Yekaterina Barbash, Associate Curator of Egyptian Art, Brooklyn Museum. Condition: Repaired and restored at center, with a narrow band of added modern clay and one of the puppies in the center made of modern clay. This is well done and difficult to discern. Nice deposits on surface.